Two new still images have been released to fan the flames of hype for next year’s DC Expanded Universe movies, Justice League and Wonder Woman. 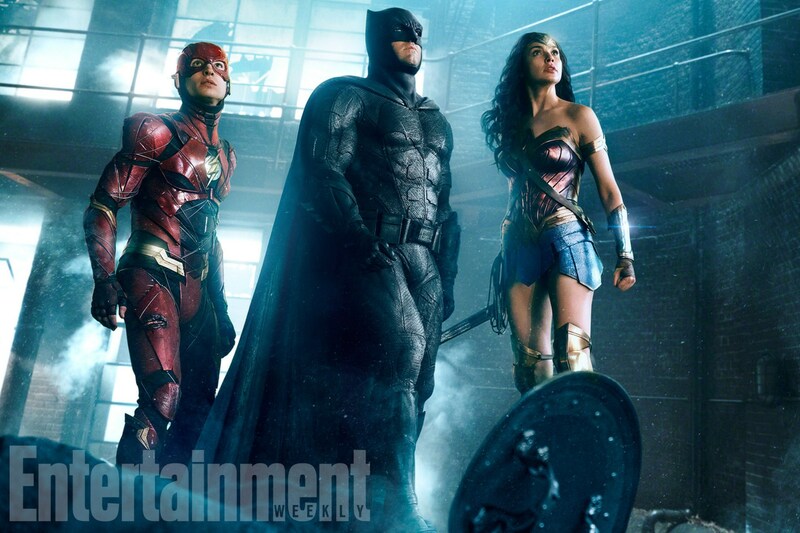 So the first one from Entertainment Weekly features Flash (Ezra Miller), Batman (Ben Affleck) and Wonder Woman (Gal Gadot)… just standing in what looks to be a sewer or at least a boiler room of sorts. I’d warrant a guess that this is also the scene in that “sizzle reel” where we later see Cyborg. But then again, this could be anywhere, given how dark and gritty Zack Snyder portrays places in the DCEU. 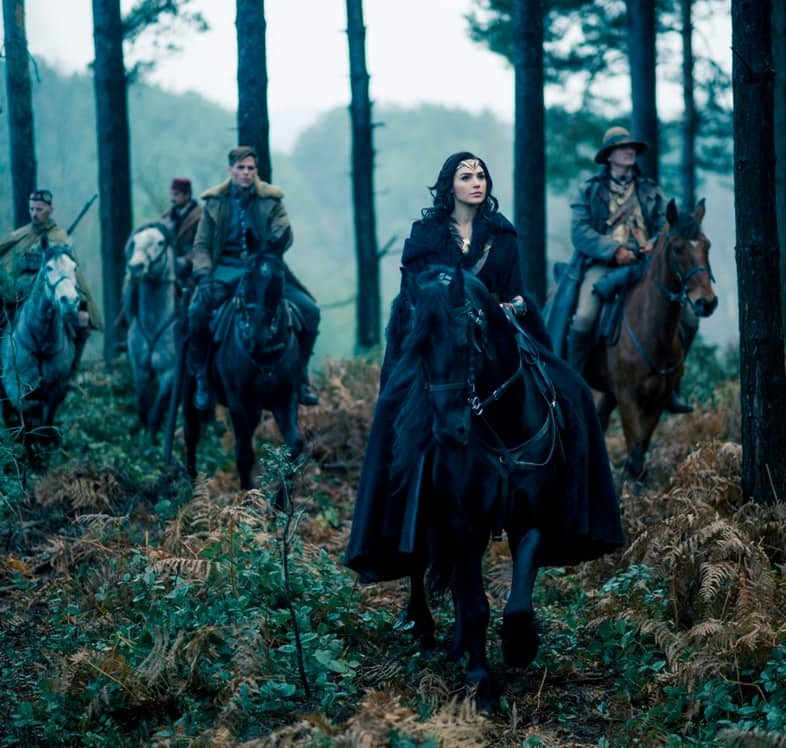 Next we also have another photo of Gal Gadot’s Wonder Woman during her first foray into Man’s World during World War I together with boy-toy Steve Trevor (Chris Pine). Both ‘Justice League’ and ‘Wonder Woman’ are slated to be released 2017 from Warner Bros. Pictures.